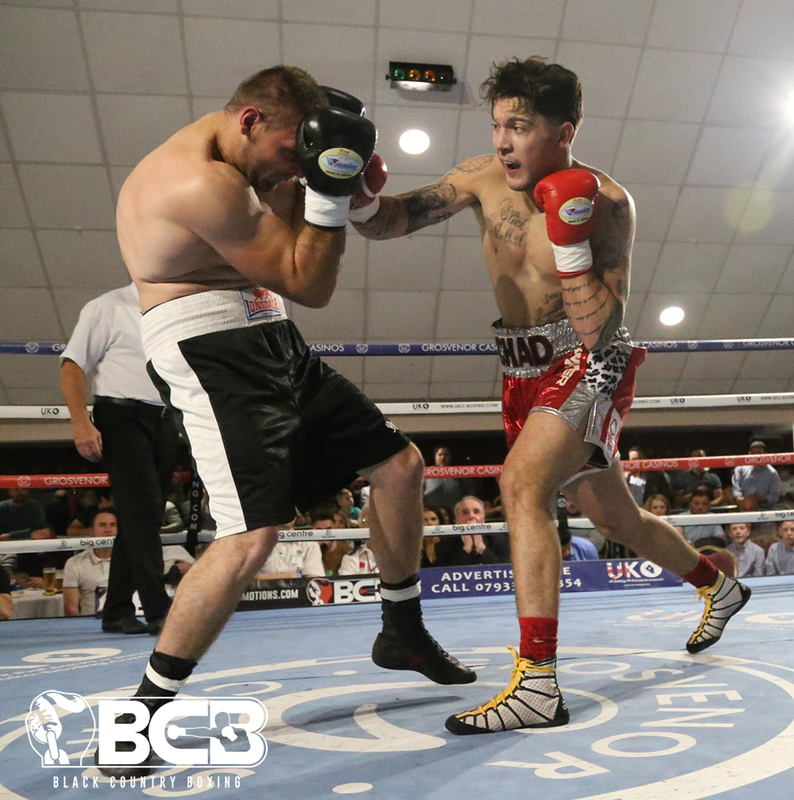 With just a week to go until his next Light Heavyweight match up, Suggy’s Gym pro boxer Chad ‘2 Slick’ Sugden is promising to put on another impressive performance for the army of fans heading to Northamptonshire to support their local favourite. Fighting on the card of BAD BOYS at the Rockingham Forest Hotel in Corby on Friday 3 November, the Newark-based 23-year old takes on Daniel Borisov from Sofia, who is currently ranked number 3 in Bulgaria. “Chad is getting stronger with every training camp. In this one he’s been sparring regularly with Jamie Cox and Kell Brook and he never stands still in terms of development,” said his manager and head coach Dean Sugden. “He’s up against a strong and experienced boxer in Daniel, whose last fight ended in a draw against an unbeaten opponent and whose pro record also includes a recent win over Sam Stokes who was undefeated in his previous six outings. Chad added: “After every fight, I’m asked why I have such a strong and loyal following. The answer is simple – my fans know that I’m always looking to challenge and test myself, whether it’s in training, in sparring or in the ring. The two men will come face to face for the first time at the official weigh in at 3pm on Thursday 2 November, ahead of their six-round bout on a show also featuring Simon Barclay who recently fought for the European Cruiserweight Title. Standard tickets for BAD BOYS, priced £40, are still available via the ticket hotline 07816 840920 / 01636 605708. Doors open at 6.30pm and the first bell is at 7.30pm, with the fight between Chad and Daniel fourth on the bill.